What a spring time! What a weekend! What a life! I felt excited about all three of these as I spent the weekend in Austin, Texas. Another road trip for this RoadBroad! Usually it is just fun to travel to Austin and soak in all the “wierdness” that is the State Capitol of the Lone Star State. However, I had a very important reason for this most recent trip. 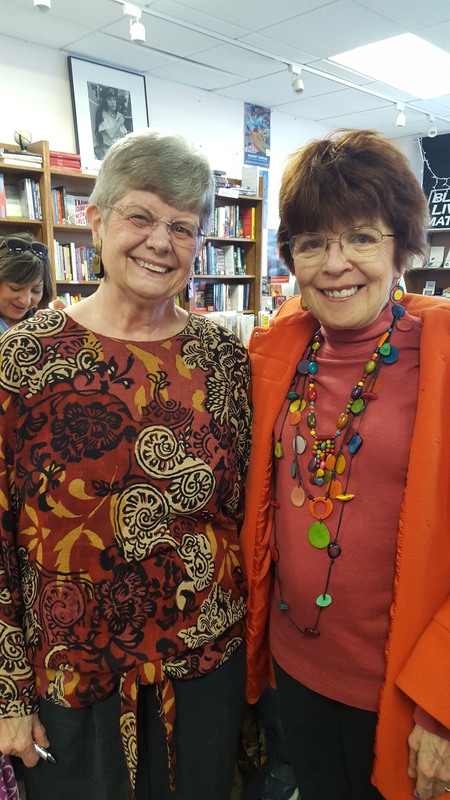 My dear Friend and I went to Austin to visit the Book‐Woman and enjoy a book launch for an exciting murder mystery called Death Unchartered by Dorothy Van Soest. I met Dorothy last year when I traveled to Boulder, Colorado for the 10‐day writing intensive with Max Regan. It was just after my retirement from local government and I was beginning to make my way as a full‐time writer. Dorothy lived in Austin for a while when she served as an associate dean and professor at the University of Texas School of Social Work before she became the Dean of the University of Washington School of Social Work. Turns out we knew some of the same folks in the Social Work field. 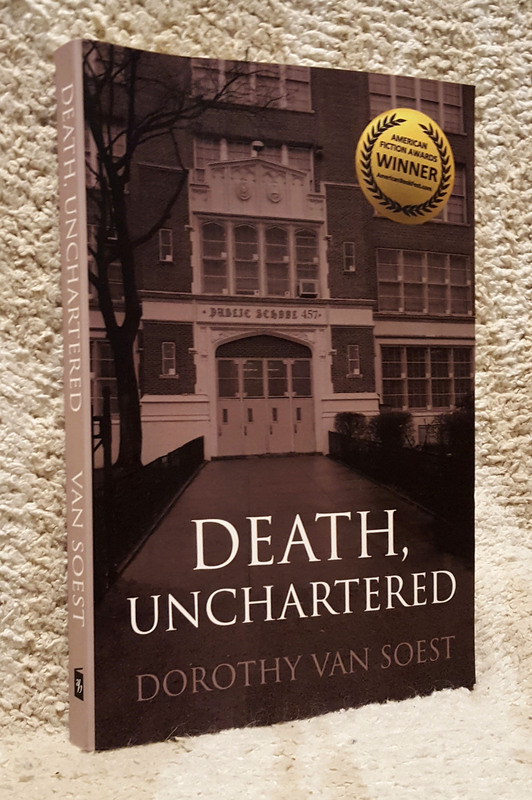 Dorothy has already published 10 books and Death Unchartered is the next one in the series of Sylvia Jensen mysteries. This is my first Sylvia Jensen mystery and I can’t wait to read the others. If you like mysteries, you will find this to be a real page turner! The book launch was a success. 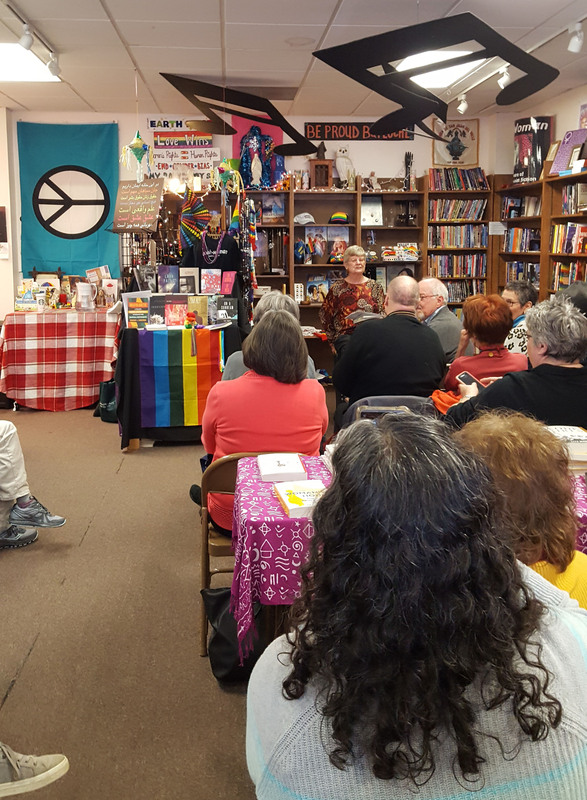 The crowd was all but standing room only and Dorothy kept us all captivated as she shared several short readings with us. The story opens with a murder and gets more exciting from there. I won’t say any more, because I don’t want to spoil it for you. Believe me it is good! 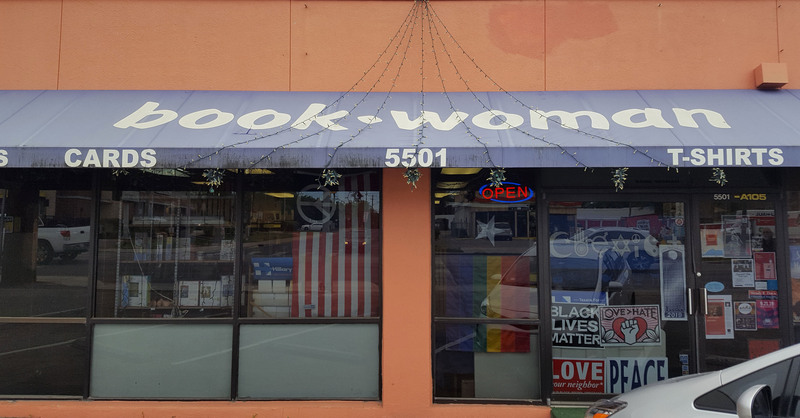 Several of us writers traveled from Houston to Austin for this book launch. Melanie was there dressed in her traditional orange. RoadBroads are nothing if not loyal and supportive of each other. Actually I am delighted to know that I am a part of a really great team of writers. Between Max Regan’s Colorado retreats, classes with the Spectrum Center Writers Guild, and weekly writing get togethers, we are at all stages of our writing careers. Some, like Dorothy, are old hands at the publication game and are willing to help those of us who are just now beginning to send out essays, short stories, and the like. From Spring 2018 to Spring 2019, I have written a lot (but never enough! ), I have submitted pieces for publication and occasionally get accepted, and continue to develop my writing chops. 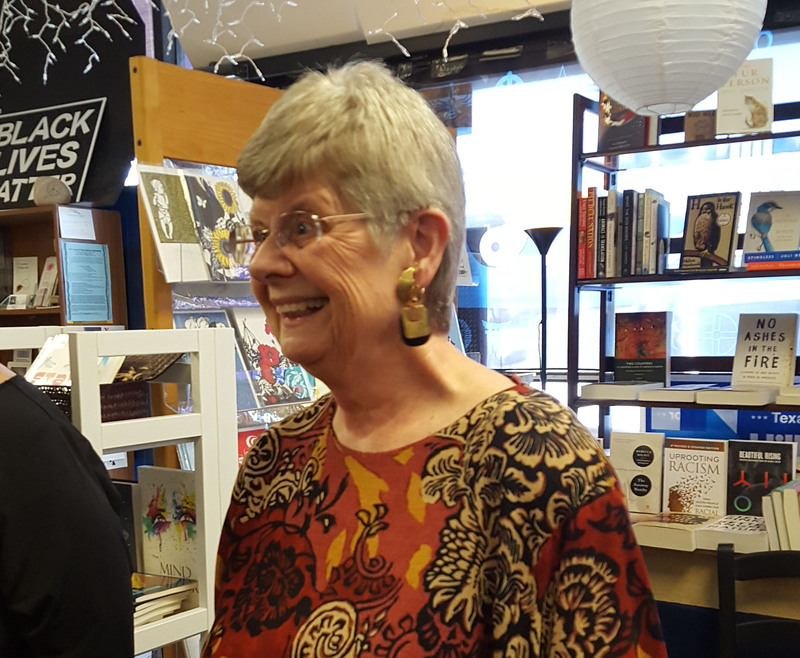 People like Max, Dorothy and Melanie have helped me transition from being a retired Social Worker wanting to write to being a full‐time writer and hanging out with writing friends at book launches. Thanks to Dorothy Van Soest for coming to Texas for a book launch of Death, Unchartered! You can find it on Amazon, you local bookstore, or wherever you get your books! You can also check out Dorothy’s website at dorothyvansoest.com. What a great Spring! What a great life! Thank you, Road Broads, for this and all your wonderfully interesting blogs! Thank YOU, Dorothy, for your own inspiring journey. We ride with you every step of your writing adventures, sometimes even sharing a house with you! Next PostNext When the Road Goes #&$^%! !